Place 1 sausage on thin point of each triangle. Roll up, starting at point and rolling to opposite short side of triangle. Place seam side down on 2 ungreased cookie sheets. 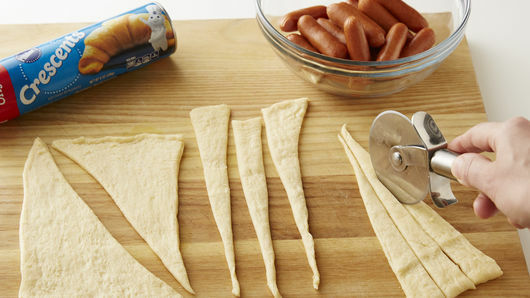 Bake 11 to 14 minutes or until golden brown, switching position of cookie sheets halfway through baking. Immediately remove from cookie sheets to serving tray. Cool 2 minutes. Squeeze 1 line of mustard crosswise and 3 lines lengthwise to make laces of football. 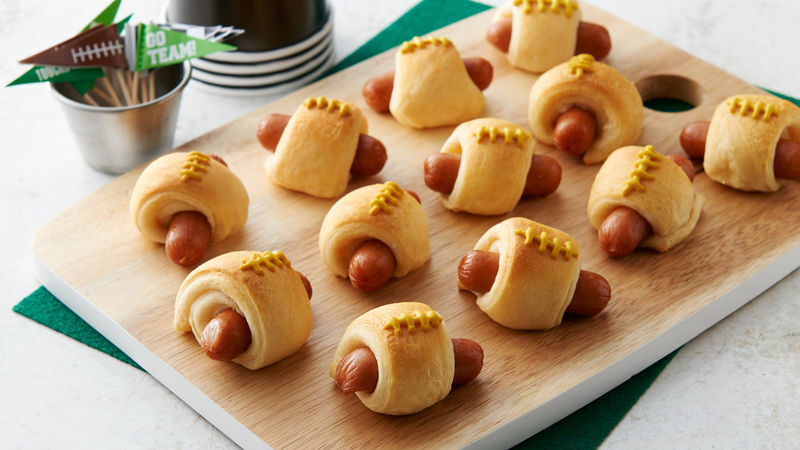 Repeat with remaining crescent dogs. 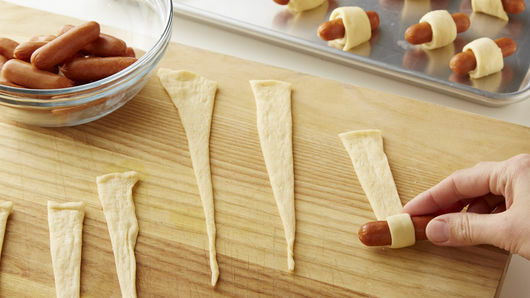 If you're an old hand at rolling up mini crescent dogs, make sure you read the directions! 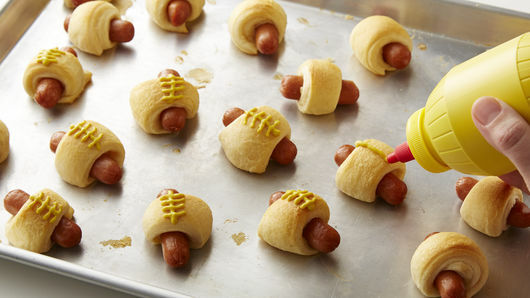 For the football shape, these pigskins are rolled from the opposite end of the dough from the classic crescent dogs. Feel like spicing these up? Sriracha makes a fun substitute for the mustard.